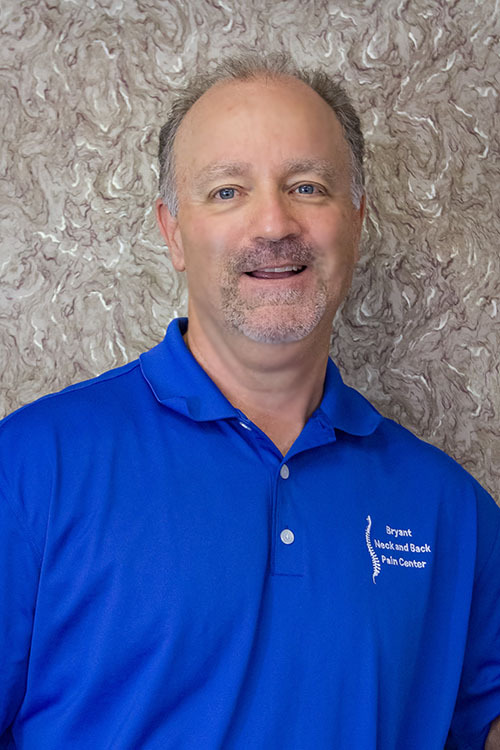 Dr. Bryant was born and raised in Cabot, Arkansas and graduated from Cabot High School in 1982. He then studied at both the University of Central Arkansas and Arkansas State University before graduating from Cleveland Chiropractic University with honors in 1988. He has been married to Pam for over 30 years and they are blessed with 2 children Chad & Haylea, and one grandchild, Rhett. Another blessing is to now have Chad as an associate in his office. It is true that having your child follow in your footsteps is one of the greatest forms of flattery. In his spare time, Dr.Tim enjoys spending time on his farm, and loves all types of hunting and fishing. Tim and Pam are members of the First Baptist Church of Cabot. He takes great pride in seeing his patients get relief from pain through the practice of chiropractic. Many people are unaware of the numerous benefits offered through chiropractic care, so he enjoys introducing those to his patients, and educating them on this subject so they can enjoy true wellness in regard to their health. He is a member of the American Chiropractic Association and Arkansas Chiropractic Association. He has also studied Thompson, Cox, Diversified and Gonstead chiropractic methods. He attends ongoing chiropractic seminar and workshops in order to remain on the cutting edge of chiropractic care. He is certified in whiplash injuries and holds an additional advanced certification for whiplash treatment from The Spine Research Institute of San Diego. He is also a licensed Acupuncturist certified in The International Academy of Medical Acupuncture. Click here to read Dr. Tim's full Curriculum Vitae. Dr. Chad was born and raised in Cabot. He graduated from Cabot High School in 2008, and went on to earn a bachelor's degree in biology from the University of Arkansas in 2012. He then attended Cleveland Chiropractic University in Kansas and graduated with his Doctorate in Chiropractic in 2015. He married his college sweetheart, Ashley, in September of 2013. In February of 2016 they welcomed their first child, Rhett, and second child Beckett in September 2017. They also have a black lab, Tusk. Dr. Chad, Ashley, Rhett and Beckett attend New Life Church in Cabot. Dr. Chad is an avid Razorback fan. He also enjoys hunting, baseball, basketball, football, and being outdoors. He has been adjusted since birth. He believes that is what kept him healthy as a child and helped reduce aches and pains from years of sports throughout his teen and adult years. He began helping at his dad's office during the summertime when he was in junior high. It was at that time he realized the value of chiropractic and decided he, too, wanted to be a chiropractor. He wants to provide a clinic that teaches the importance of chiropractic in children as well as adults. Dr. Chad is a member of the American Chiropractic Association and the Arkansas Chiropractic Association. He practices Thompson, Cox, Diversified and Gonstead as well as Activator Methods. 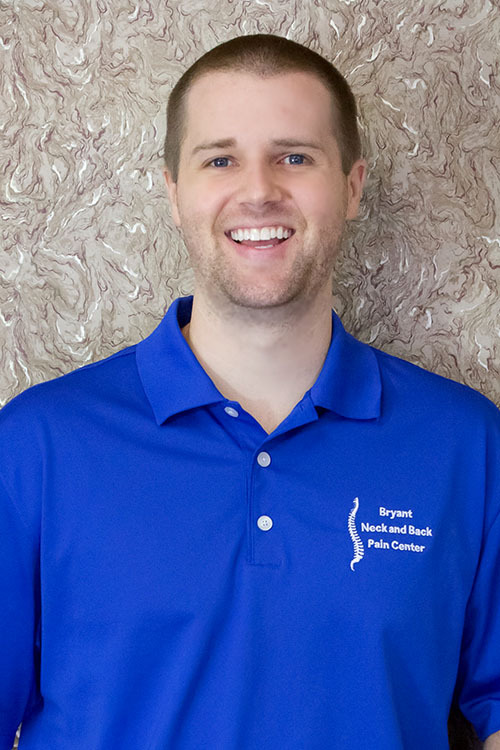 Kaye Glynn has worked for Bryant Neck & Back Pain Center since 2004 assisting the doctors with evaluations and x-rays, and general patient care. She lives in Beebe, Arkansas, and has been married to her husband Bill since 1988. They have two grown children together. When not working we enjoy antiquing and watching movies. 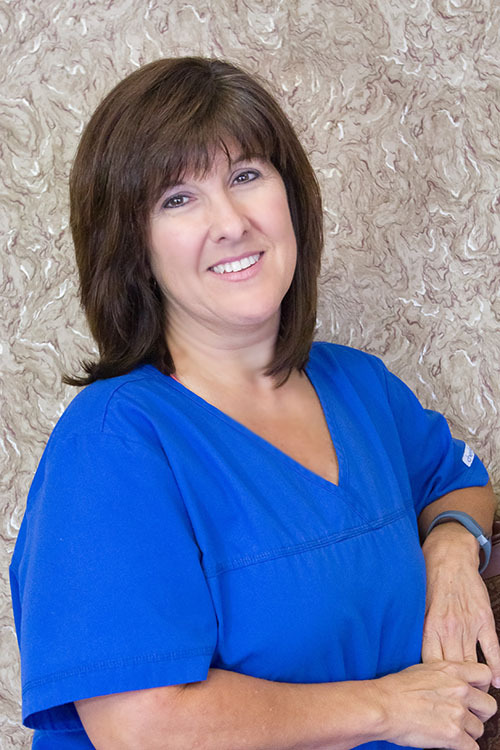 Margie Spann is the Office Manager for Bryant Neck & Back Pain Center. 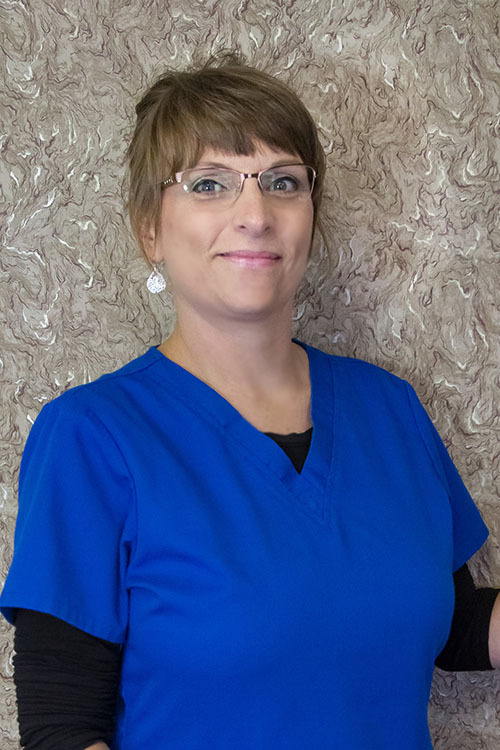 She has worked at the clinic since 2010. She lives in El Paso, Arkansas with her husband Rob. They have been together since 1987. When she is not working, she loves to travel to see new places as well as riding their OTV. They have two grown children and three wonderful grandchildren.